When it comes to writing, all the immense problems, obstacles and difficulties are finally reducible to the problem of truth. As Samuel Beckett loved to point out, writers are liars by nature – or rather, writers are simply those who have discovered the unbearable difficulty of truth-telling, the tragic disjunction between truth and language. All men are liars. But writers aim to lie their way into the truth, to vaccinate themselves against falsehood by injecting it right into the bloodstream. 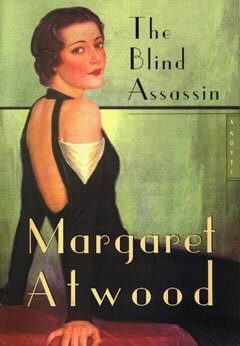 Margaret Atwood's Booker Prize-winning novel, The Blind Assassin (2000), is an exquisite reflection on the deceitfulness of fiction. The narrator, Iris Chase, describes this curious relation between writing and truth-telling: "The only way you can write the truth is to assume that what you set down will never be read. Not by any other person, and not even by yourself at some later date. Otherwise you begin excusing yourself. You must see the writing as emerging like a long scroll of ink from the index finger of your right hand; you must see your left hand erasing it. Impossible, of course" (p. 345). Reading a selection of the latest theological books, you'd have to wonder whether Atwood is on to something: whether we too easily "excuse ourselves"; whether we are obsessed with writing new or fashionable or – worst of all – correct books, instead of true books. If anything separates the great Christian thinkers – Kierkegaard, Barth, Aquinas, Augustine – from the rest, it is surely their refusal to excuse themselves from the painful struggle of truth-telling, the enormous labour with which they extract a single hard bright truth from the slurry of language.